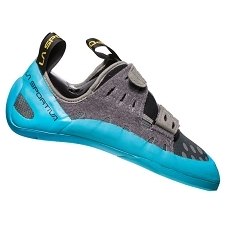 An all−around, comfortable shoe that is perfect for the climber looking for one shoe that can do it all. 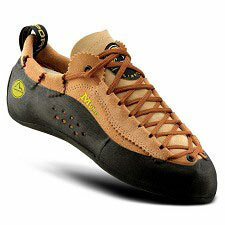 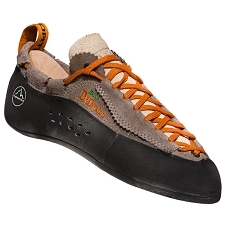 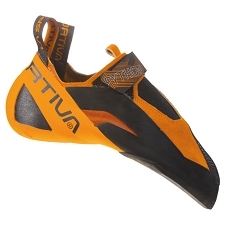 It is an unlined leather climbing shoe with an asymmetric shape for advanced performance. The shape is great for upper end performance without hurting your toes. 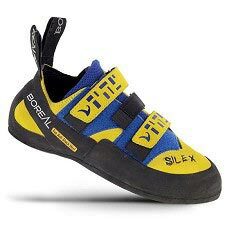 The synthetic leather overlay lacing harness adds great support for entry to mid level climbers and the unlined leather is comfortable and soft. 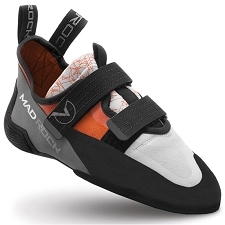 The aggressive rubber heel rand lets you stand on micro edges and the FriXion® RS rubber is hard wearing yet sticky for long life. 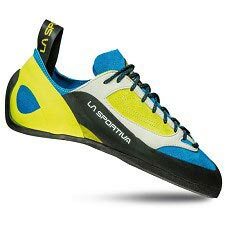 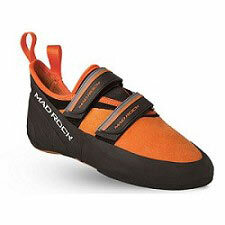 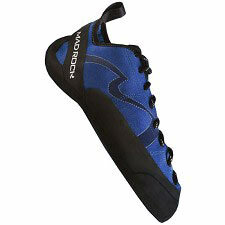 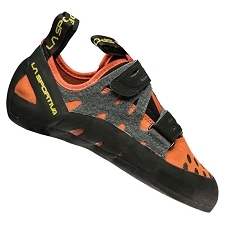 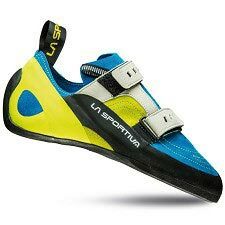 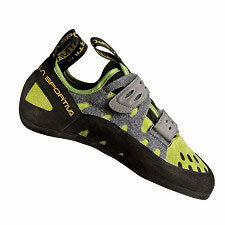 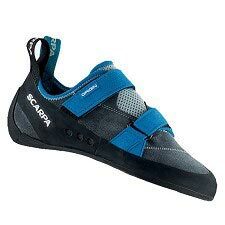 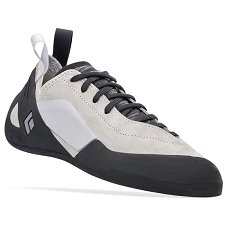 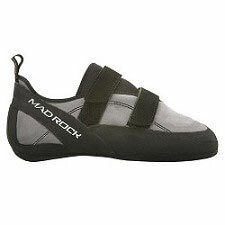 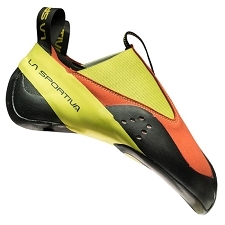 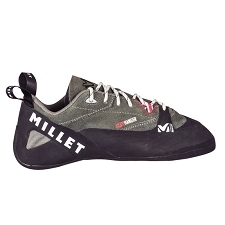 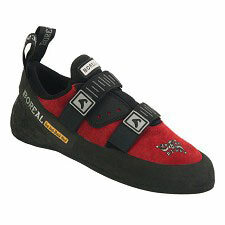 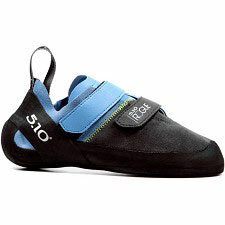 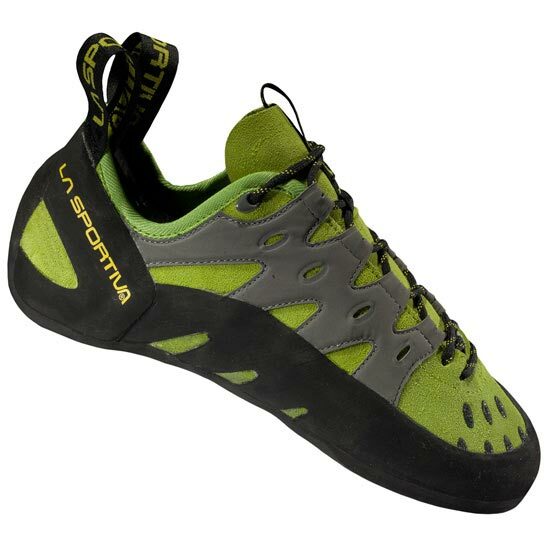 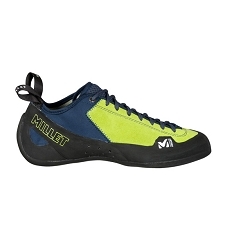 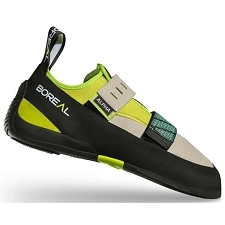 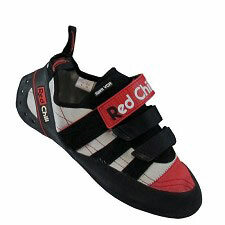 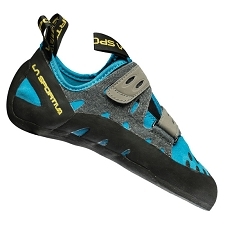 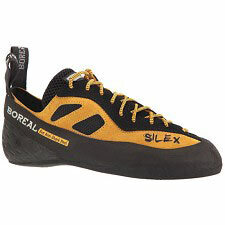 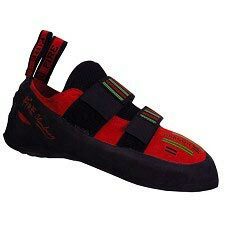 This is great shoe for gym climbers and outdoor climbers that need a shoe that does it all.